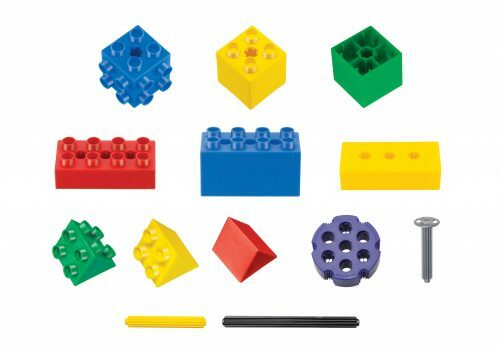 The Pre-School range is out simplest range available. 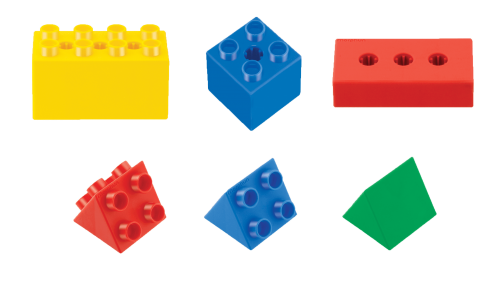 It is designed for ages 2 1/2 to 4, with simplified instruction from levels 1 to 4. Therefore no wheels axles or joiners mean easier manipulative skill levels for this young age group. 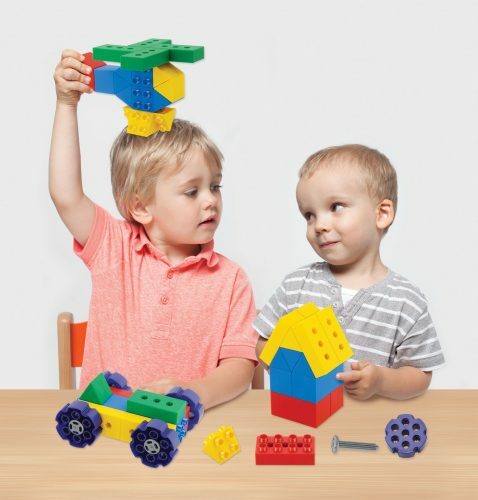 The Kindergarten range is designed for ages 2 1/2 to 6. 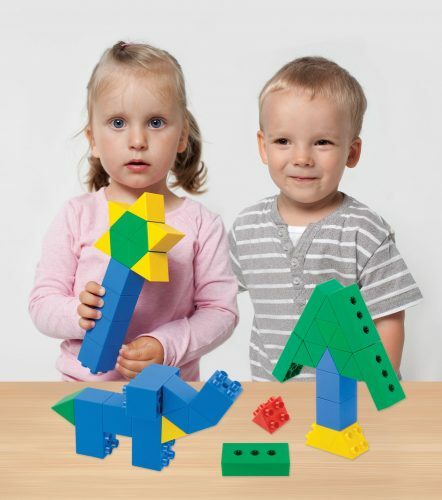 It adds wheels, axles, extra cubes, triangle shapes and joiners to the Pre-School set. 4 sections of guides come loose or bound, building on the same same first 3 sections from Pre-School.